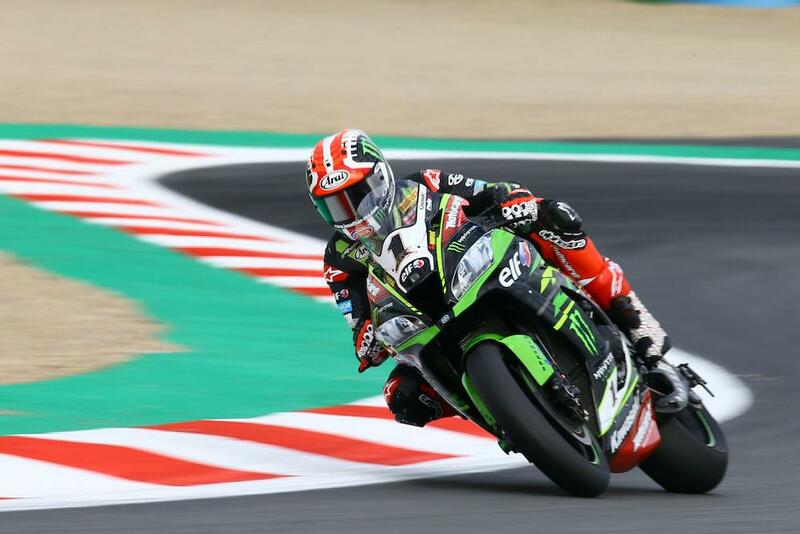 Jonathan Rea once again led the way as the eleventh round of the 2018 World Superbike Championship got underway in Magny Cours. The soon-to-be four-time World Champion lapped underneath the race lap record to set the quickest time of the day in the very first session, before topping both FP2 and FP3 with stunning pace across both one lap and over distance. His fastest time placed him 0.201 seconds ahead of team-mate Tom Sykes with Alex Lowes leading the non-Kawasaki charge in third. Milwaukee Aprilia’s Lorenzo Savadori impressed on the opening day to place fourth quickest ahead of the second PATA Yamaha of Mihcael van der Mark. Michael Ruben Rinaldi surprised to place top Ducati, ahead of factory counterparts Chaz Davies and Marco Melandri. 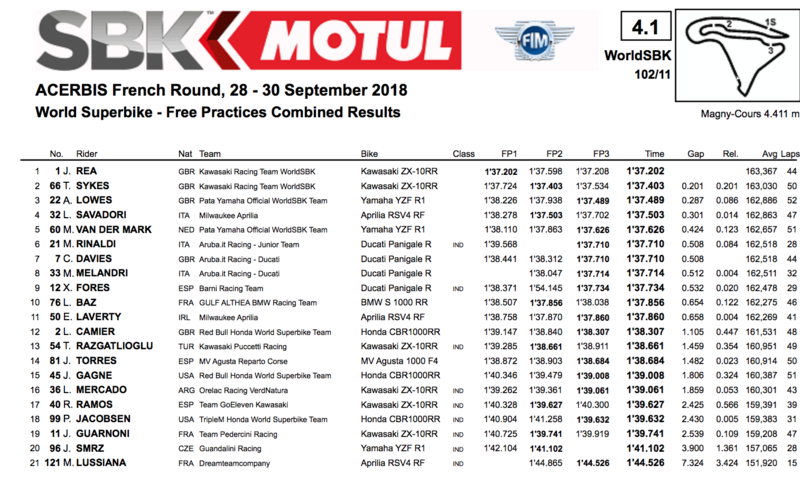 The fourth Ducati of Xavi Fores was ninth while Loris Baz secured the last pass-through to Q2 for Althea BMW in tenth. Eugene Laverty will have to fight for his Q2 spot after ending the first day 11th, and Red Bull Honda’s disastrous season continues with Leon Camier 12th and Jake Gagne 15th. With Rea’s pace looking ominous, the chances of the Ulsterman clinching his fourth world crown in tomorrow’s opening race is high. He needs to finish nine points ahead of Ducati’s Chaz Davies with Michael van der Mark no more than 11 points ahead to equal Carl Fogarty’s record with two rounds spare.